Whether you’re out on a multi-day patrol or hiking your favorite mountain range, nutrition is the key factor. On a hike you may have all the lightest kit offered on the market, but without a good source of energy you will hit the wall and put yourself in danger. You certainly don’t want food to take a lot of space in your pack, and that is true for both the weekend adventurer and the professionals out there. I recently had the opportunity to try AlpineAire dehydrated foods, which I purchased from Mountain Equipment Coop here in Canada. I usually buy other brands but this one caught my eye in the new arrivals section, and the “recipe” they offered looked promising. I bought Southwestern style beef and nachos, Chicken burrito bowl, Veggie burrito bowl and Bandito scramble, which is basically onions, bacon and scrambled eggs. Each packet packs around 700 calories for main dish and breakfasts. I haven’t tried sides or desserts yet, and there is no intel on their website about the nutrition facts. AlpineAire foods need to be cooked, which is no big deal on a multi-day hike, but in the military you don’t always have the luxury to heat your food. Still, on some occasions swapping out your tasteless rations for civvie stuff just brings morale right back up! Just use a burner like the Jetboil MiniMo and in 10 minutes you’ve got yourself a hot, tasty and nutritious meal that’ll keep you going for hours. Be aware that the breakfasts with eggs need hot water first to rehydrate, and then need to be cooked in some sort of cookware like the GSI Micro-Dualist prior to being eaten. These are also great for the preppers among us because they offer family-sized cans that can be easily stored and will feed a family of four in an emergency situation, whatever it may be. And most of the menus offered for the single packets are available in family size too. At MEC, each packets retails for about 8-9$ CAD, and a quick search over the internet found them for around 4$ USD. Almost as cheap buying MREs and significantly tastier! 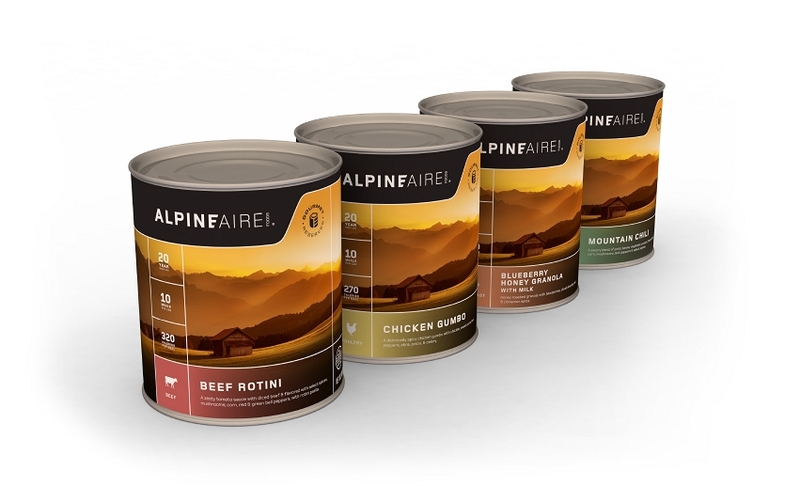 Give the AlpineAire foods a try, you will not be disappointed.